Sleep apnea diagnosis: What’s next? Now that you know your diagnosis, it mean you should only get better. There are several treatment options available. 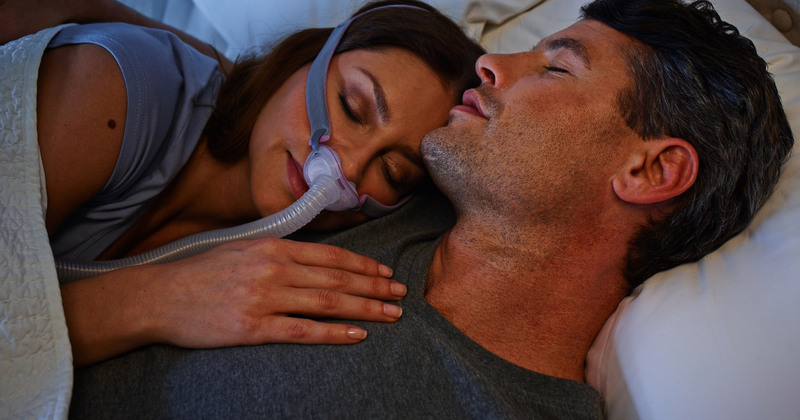 Fortunately, safe treatment is not only available, but thanks to advances in medical technology, people with sleep apnea can enjoy a variety of therapy options unheard of even a decade ago. CPAP therapy is by far the most frequently prescribed3 for moderate to severe sleep apnea sufferers. And today’s range of CPAP masks includes a wide variety of options to ensure maximum comfort and minimum disruption to your daily lifestyle and personal comfort levels. Continuous positive airway pressure, or CPAP, is a sleep apnea treatment system that consists of a mask that’s fitted over the nose and/or mouth. The mask is connected to an airflow generator that draws in air and pushes it gently into your upper airway. This air works to keep the airway open, preventing the “collapsing” of the throat that causes sleep apnea. The idea of sleeping with a sleep apnea mask can be intimidating for some. But in reality, this type of apnea therapy is safe and non-invasive—as opposed to drugs or surgery, which can have a much more significant impact on health, appearance and comfort. Today, sleep apnea mask manufacturers offer a wide range of treatment options that include small, lightweight and nonintrusive masks. The adjustment process for each person when starting CPAP therapy is unique. Most users will require a period of adjustment. Therefore, the most important recommendation for anyone starting CPAP therapy is to not give up4. We hope this article has helped you to understand what cause sleep apnea and how it’s treated. To improve your situation, it can help to understand the different ways to treat sleep apnea. Download the “7 ways to treat sleep apnea” for a comprehensive overview of how you might be able to improve your sleep. Notice: All medical and therapeutic information contained in this website is general in nature and is not a substitute for advice from a registered physician or other health care professional. CPAP Australia does not provide medical advice. CPAP Australia expressly excludes any representation or warranty, express or implied, with respect to the information contained in this website (or in any of our publications).